It's the final countdown! Prep for the big day with this absolutely essential week before wedding checklist. It’s the final countdown: only one week to go before your wedding. 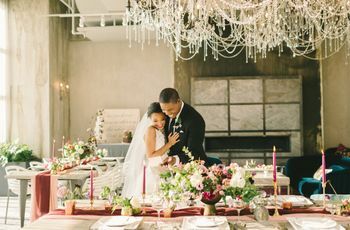 Cue the butterflies because this is an extremely exciting time, but there are a few final things you need to take care of before heading to the altar—from major responsibilities to small details. It all may seem a bit overwhelming, so don't be afraid to ask for help in the days before your wedding—your friends and family will likely be glad to lessen your load! 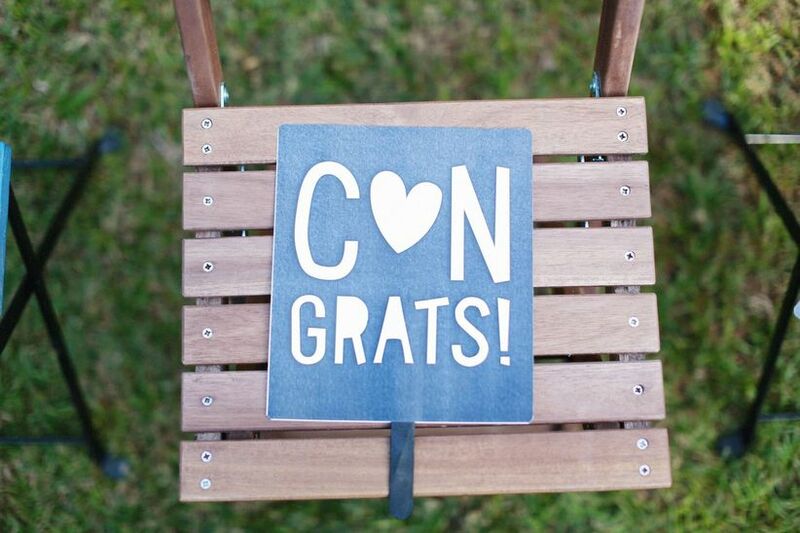 If it’s your wedding week, congrats! Take the next several days to prepare with our week before wedding checklist. Some states require a minimum “waiting period” between the time you pick up your marriage license and the actual wedding, anything from 24 hours to more than 72 hours. Most marriage licenses also have expiration dates once you pick them up, for example 60 or 90 days, so don’t apply too far in advance either. Be sure to check the marriage laws in your state (or for destination weddings, the state in which you’re marrying) to ensure that you are following all of the legal requirements. This can be as simple as a quick email to each vendor confirming that he or she has everything they need from you in the days before your wedding. 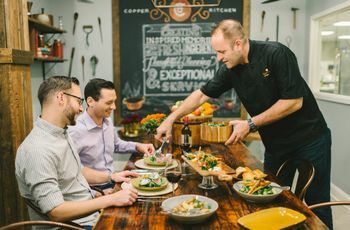 If you haven’t already, this is also the time to consult your vendors about any last-minute details, such as entree selections, changes to the guest count, or even weather-related issues. 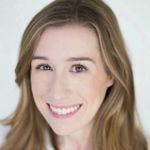 If you have a wedding planner or day-of coordinator, that person is probably handling the follow-ups with your vendors, so check in with them to make sure that everything is going smoothly. By now, you should have all of your attire ready to go, but it’s smart to do a “dress rehearsal” a few days before the wedding to double-check that everything is perfect. If you’re wearing a wedding dress, try it on (carefully!) with your shoes and accessories as a final run-through before the wedding. Tip: Remove your makeup and jewelry first to avoid accidentally damaging the dress. If possible, get help from someone who will be getting ready with you on the morning of the wedding so they can figure out any tricky details ahead of time, such as a corset back, sleeves, detachable skirt, etc. Once you’re finished, pack your dress and accessories away safely. We don’t recommend waiting until the last minute (and definitely not the night before) to write your wedding vows, so if you haven’t already finalized what you’ll say at the ceremony, now is the time to do so. Once you’ve perfected your vows, practice them and read them out loud to yourself at least once before the wedding, or several times if you want to memorize them. Even if you’re planning to read your vows from a piece of paper, the butterflies in your stomach might catch you off guard on the big day. 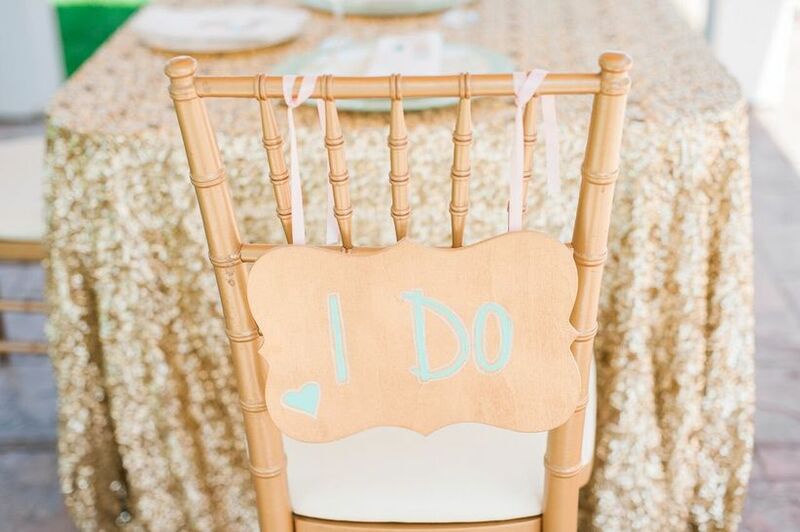 Chances are you’ll feel more at ease if you’ve rehearsed your vows in advance. The week before your wedding isn’t the time to try an unfamiliar or newfangled bridal beauty treatment, but you should be fine if you stick to the basics. Some treatments, such as facials, waxing, teeth whitening and lash extensions, should be completed at least a week before the wedding. Even if you’ve had these treatments done before, there’s always a possibility you could have a bad reaction, and that’s the last thing you want right before your wedding. Other services like airbrush tans, manicures, and pedicures can be done two or three days prior. For grooms, consider booking a hot shave and a haircut during the week leading up to the wedding. Are there random guests who still don’t have a place on the seating chart? Has your officiant not responded about the ceremony reading you requested? Do a run-down of the entire wedding day in your head and take care of anything that has not been finalized. If you’re feeling overwhelmed, don’t hesitate about reaching out to your event planner, friends or family members to ask for a hand. They’ll probably be more than happy to help! If you’re getting ready at a hotel or the venue itself, be sure to pack your must-have wedding day items beforehand (along with all of your attire, of course). Your phone charger, wallet and most importantly, the rings are just some of the things you’ll need. Create a wedding day emergency kit with essentials like snacks, beauty supplies, tape, and over-the-counter medicines. You’ll also need to pack a bag for the wedding night if you won’t be returning home after the reception. Take a few hours to sort through any decorative items you plan to use at the wedding. If you won’t be present during the venue setup, be sure to carefully categorize and label the items so it’s clear for the people who will be putting your event space together. You can even create a mockup or diagram of how the décor should look before your wedding, but if you’re working with an event planner, he or she will probably already have something similar on hand. Lastly, consider reaching out to your venue and asking if it’s possible to drop off your décor a few days before the wedding. They may charge you a storage fee, but knowing that everything is already on-site can save you a lot of trouble in the long run. From your wedding party to your parents, fiancé(e) and future in-laws, it’s customary to give a gift to your loved ones on the big day. Now is the time to wrap the gifts and put them with the rest of the wedding day items for safe keeping. Treating your guests to wedding welcome bags? This is the time to put those together if you aren’t having them custom-made by a vendor. Get together with your S.O. and enlist your bridesmaids/groomsmen as your personal wedding bag creators to make the process go by more quickly. Truth be told, you should start packing for your honeymoon even sooner if you can, but take the last few days before your wedding to round up any miscellaneous stuff you plan to bring. Review your honeymoon itinerary and double-check that you have all the necessary documents (passports, IDs, confirmation numbers) ready to go. The big day is nearly here, and while it’s natural to feel like you have a lot on your plate, don’t forget to chill out and treat yourself. You’ve been busy planning the wedding for months (maybe years) and have earned a well-deserved break. Take a deep breath and remember that everything will be just fine. When you’re well-rested, you’ll look and feel your best, which is exactly what you want on your wedding day. Pat yourself on the back, put your feet up and get ready for the best day ever!